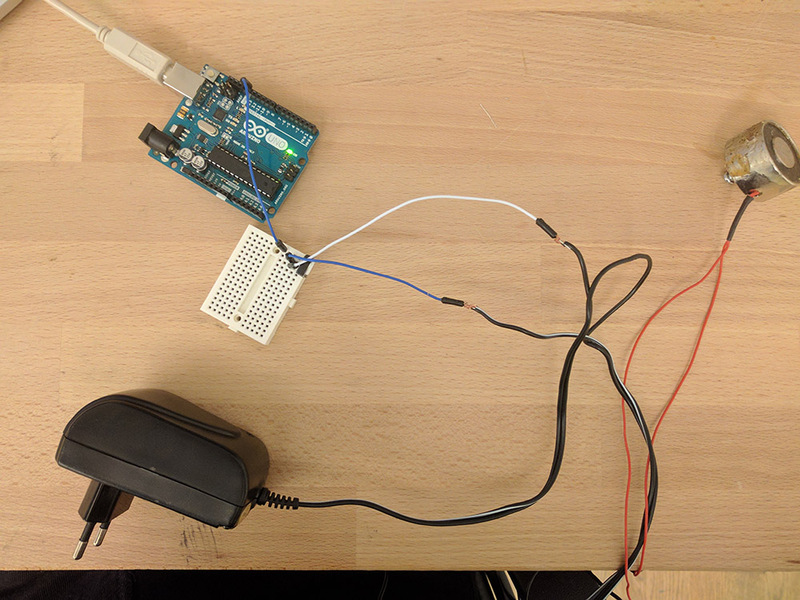 pin 13 is connected to the base and I'm trying to powering the magnet with a 12V DC adapter. I'm not sure if the transistor is before or after the magnet, but I'm not sure how that would make a difference. I've tried switching between the collector and the emitter. In one instance the magnet is always active and in one instance it's always passive. What could be wrong? The cords running of the table in the bottom is just a bit of extra wiring. Is there the only wire from Arduino to the Base of Transistor? If you reverse the transistor (E and C), builtin protection diode will be in forward direction, so electro magnet is on. If you have only one wire to the base, it cannot work as you need current to the base. 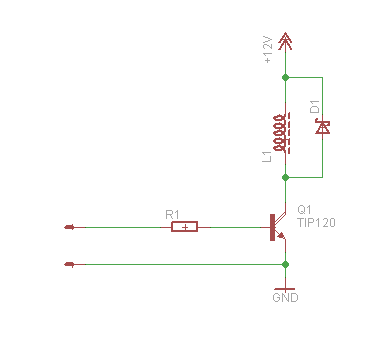 If you have electro magnet between ground and Emitter, you'll have negative current feedback and about 4.2V on L1 tops as there must be some current into the base. 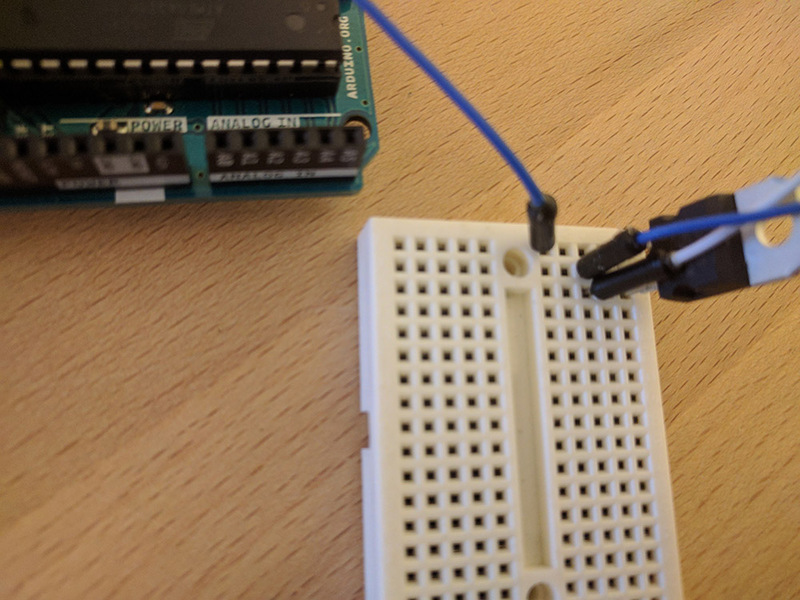 Looking at the first photograph - The Ground of the Arduino needs to be connected to the ground of your circuit. 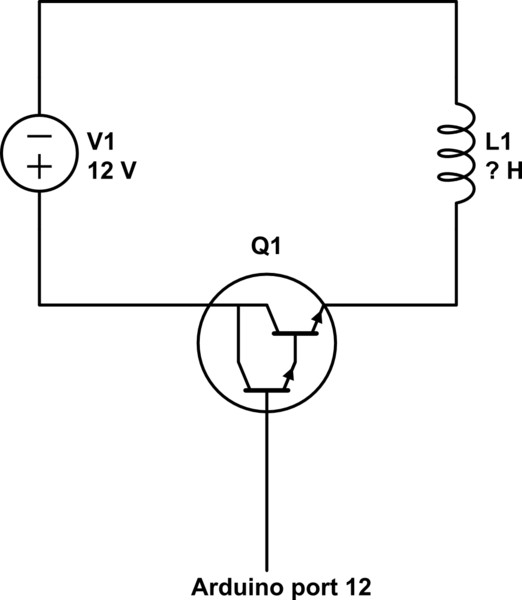 I do not understand the two-transistor part of your circuit, so I can't say if this is OK or not. You could also switch the electro-magnet using a relay. Not the answer you're looking for? Browse other questions tagged arduino-uno power transistor or ask your own question. Which transistor I should use to switch 12V 0.8A? What are the logical errors in this piece of code?